Did You Miss MARJI Live on Facebook? Watch Now for Tips, Tricks & Treats! Holidays 2017 | With a purchase of a $50 or more gift certificate you will receive a free makeup lesson with MARJI! Also, must use is MARJI's Dual Eye Makeup remover comes with a moisturizer so your eyelashes will not fall out or dry up! Grande mascara and primer purchase receives a FREE 3x mirror! Join us for another fun-filled episode of MARJI's Take It Home & Do It Tips! Giggle and learn how her eyebrow gel with fibers actually helps to cover grey's and fill in those bald spots! Join MARJI and laugh while she describes the true gem of beauty products MARJI's neck cream. After years of searching for a neck cream that truly does the trick she brings you her very own formulated neck cream. MARJI continues with Part 2 of what skin care products she used one her husband to make him look years younger in only three weeks! MARJI's Color Wheel! 3-in-1 Lip, Cheek, & Contour must have product! 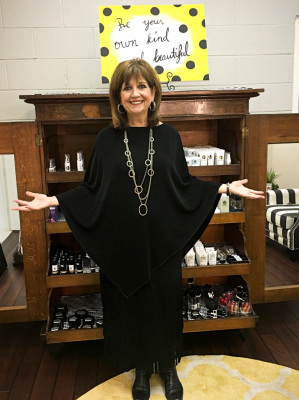 MARJI tells us about an exclusive product she sells from FACE called the Color Wheel! It's a 3-in-1 moisturizing product that can be used on your lips, cheeks and contour areas. Grab-n-Go and use all day! MARJI's 2017 Holiday Brush Deal - NO SHEDDING! Join MARJI as she shows you her 2017 Holiday Brush Deal which includes six no shed brushes, brush cleaner and three trendy bags for only $75! While Supplies last only! MARJI brings home her natural shave gel with moisturizers including aloe vera and grape extract straight from New York! Indulge your legs during a dry winter with this luxurious shave gel!